Lately, I’ve been trolling tons of home décor stores because I want a certain sort of dresser for our home. 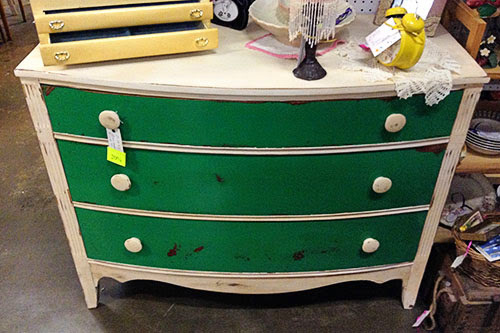 I make the rounds at HomeGoods, the charity shops, the antique malls. And because the stock merchandise is constantly changing at those stores, I can’t just run to the antique mall to pick up a midcentury-modern credenza. I have to hunt. I have to visit the shops frequently, hope I get lucky, and go home empty-handed most of the time. Yeah. About that “empty-handed” part. 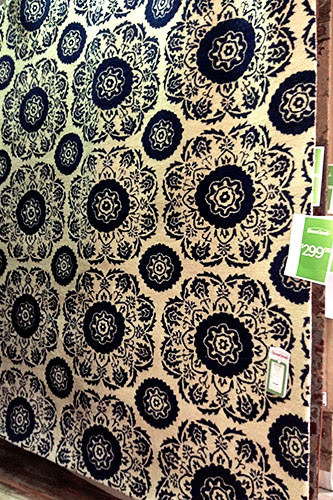 Home décor stores, and particularly antique malls, are tricky. Just as you have to go to the antique mall with no expectation of finding what you want, you also have to go with the expectation that you’ll find something you didn’t know you want. It’s the most open-minded sort of shopping. And that makes it very, very easy to go to the shop with the intention of purchasing a dresser and coming home with a new vase, or a roll of discontinued wallpaper, or the most perfect set of framed prints. Since I can’t bring home the entire store, I have to walk away from a lot of items I know I’d enjoy. I figure every dollar saved not buying useless junk is a dollar towards my perfect dresser... when I find it. But that doesn’t mean I like walking away. So to ease the pain, I do something a little weird. I... take a photo of the item. Is that weird? Maybe it’s weird. But it’s my little trick that lets me walk away. “I’ll just take a photo of it,” I think to myself. “And later I can check the photo and see if I still want to go back and get it.” I have not once gone back for the item. But... that doesn’t mean I didn’t find some good stuff! So today, I’m here to show you the hall of almost-fame, the items that didn’t get relocated to Casa P. It’s the stuff I nearly bought, but DIDN’T. 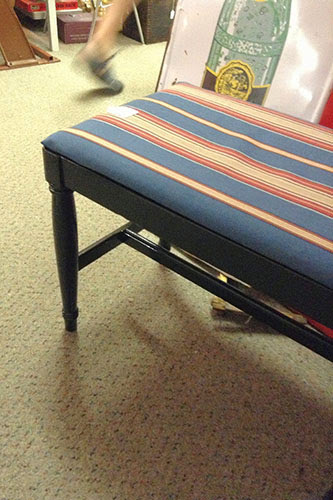 First up: I did not buy this little bench from the antique mall. I desperately want another ottoman to cover some unsightly-placed outlets in our bedroom. This one cost twenty-five bucks. But, I’d have to give it a fresh coat of paint and upholstery, and anyway, I really want a storage ottoman. I managed to walk away. 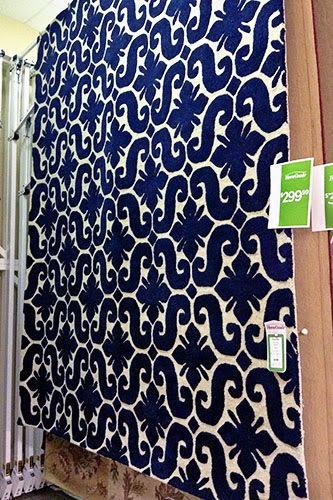 I didn’t buy this rug from HomeGoods. 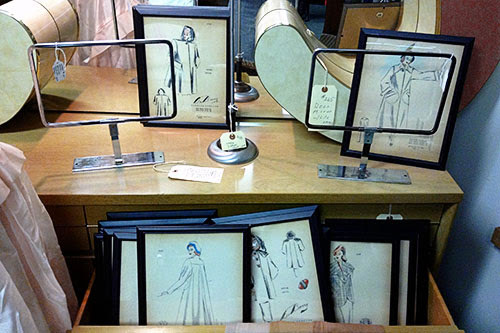 I didn’t buy any of these fashion prints from a local antique shop. At ten bucks a pop, they were a bit pricey, and I don’t have a place for them. But gosh, they were darling. 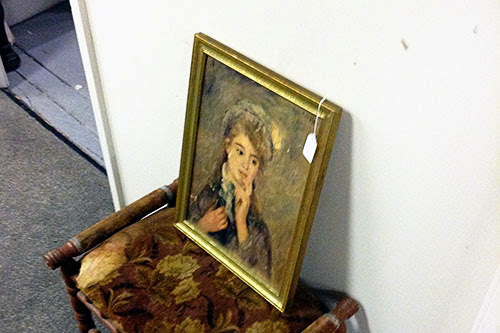 I also didn’t buy this ancient five-dollar portrait, despite the low, low price. Mostly because I couldn’t figure out how to explain to Mr. P why I was hanging an oil portrait of an unknown girl in our home. Opposite of “meaningful art”, right there. 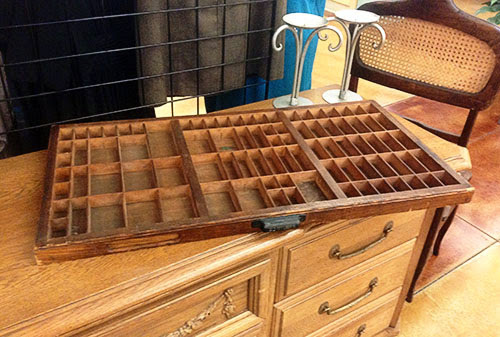 I didn’t buy this $30 drawer from a printer’s cabinet, despite how much I really, really wanted it. I didn’t buy this beautiful Noritake china from an estate sale. 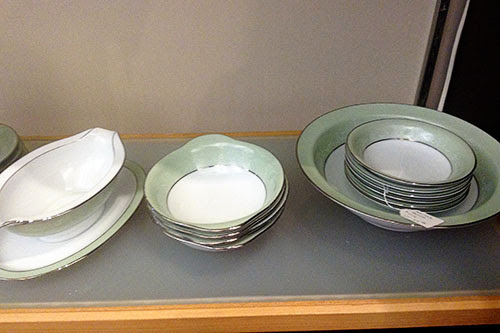 I’ll inherit my family’s china one of these days, and I don’t need multiple sets. And in the meantime, I have no use for fancy metal-rimmed plates. I mean, how would I heat up my tacos in the microwave?! And finally, back to the original purpose for hunting: a dresser. I didn’t buy this one. It was the right size, but not really the right style; the lines were a bit wrong and the colors were ghastly. It’d definitely need a new paint, and I wasn’t willing to invest time and effort into salvaging it considering it wasn’t perfect otherwise. 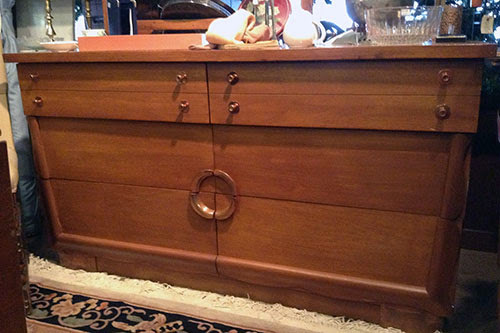 That dresser – selling for only ONE HUNDRED dollars – was beautiful. But it was really too long, and didn’t meet my super-high standards for style (even though the period was about right). Close, but no cigar. So! That’s how I get the courage to walk away from a purchase... just snap a photo. Which, by the by, is FREE and takes up very, very little physical space. Free and uncluttered beats bringing home the wrong furniture any day, right? For SURE.